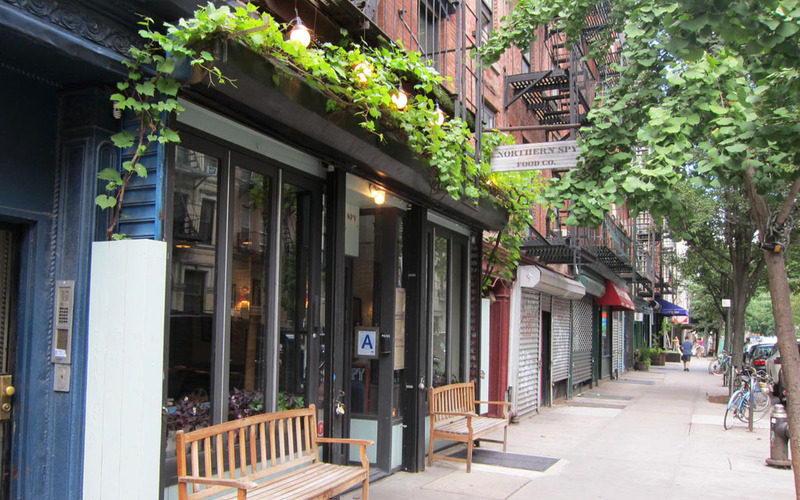 Northern Spy Food Co. tops the list of my favourite brunch spots in the East Village. A massive call to make, especially in an area where brunch cafés rule, however, to me this small neighbourhood restaurant stands above the rest. Each time I’ve been the food has been fantastic, the service quick and friendly and the vibe warm and welcoming. It has also received rave reviews from visiting friends whom I’ve taken there. While the restaurant is not overly big – I’d say about 30 or so diners at one time fit comfortably around the communal and individual tables – it certainly creates a space that is relaxed and cosy. Bright, airy and warmed by reclaimed and repurposed natural timbers (tables, benches and flooring) Northern Spy Food Co. has a certain rustic feel to it. As does the menu, which has been built around “seasonality and quality”. Every dish sounds equally tempting, which makes ordering difficult. However, if you’re there for brunch I cannot recommend the restaurant’s Corned Beef Hash highly enough. 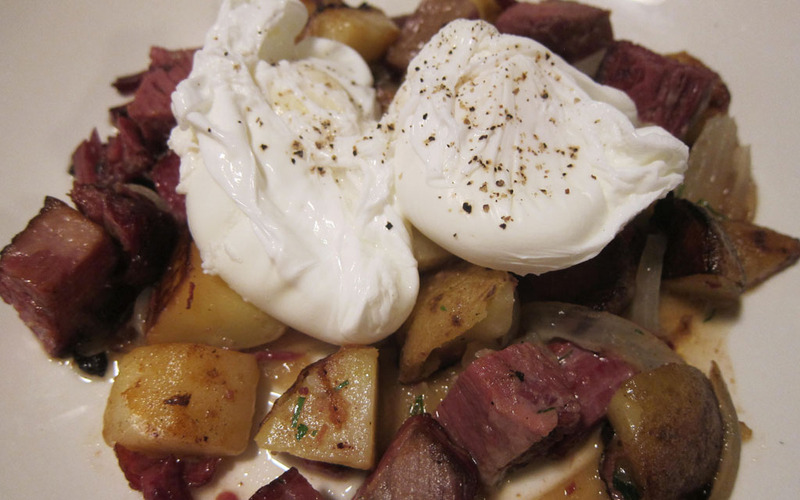 A delectable dish of beef brisket, confit potato and two perfectly cooked poached eggs. It’s fair to say that it’s not the biggest meal on the menu – as mentioned to me by the exceptionally friendly and helpful waiter – but every bite was as delicious, if not more so than the last. After wiping the plate clean, I was left feeling truly satisfied. If you’re like me and like something sweet after your meal, make sure you save room for a pumpkin whoopie pie. They’re soft, moist and delicious and if you ask me the perfect way to end your meal. Craving something salty? 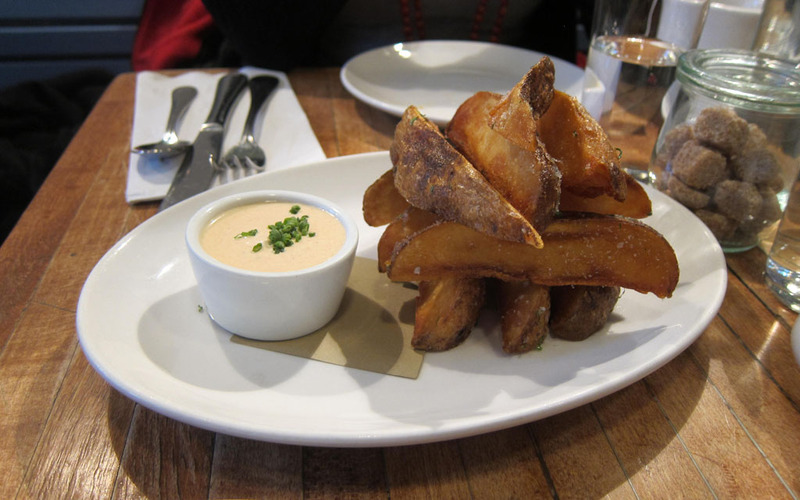 You cannot go past the duck fat fries with malted spiced yoghurt. They are seriously chunky and seriously good! Keeping in theme with the NYC brunch scene where cocktails are sipped from 10am onwards, Northern Spy also serves a selection of fruity mixed drinks. Northern Spy Food Co. is a great place for both brunch and dinner and undoubtedly I’ll be back again soon! As to be expected Northern Spy is an incredibly popular brunch option among East Villagers at the weekend, so it’s likely there will be a wait for a table. Having said that, each time I’ve been I’ve been seated straight away. To ensure immediate seating I suggest arriving before 11am.